“The dog is virtue that could not turn itself into humans,” Victor Hugo once said. The Hungarian director Kornél Mundruczó has dedicated to man’s best friend a film which, far from being sentimental and kitschy, is more poignant and rousing than nearly all films of recent years. Whereas, considering Hungary's disturbing condition of human and civil rights, Mundruczó's film might go beyond the abuse of animals. Underdog is a technically masterful slav(e) rebellion of another kind. 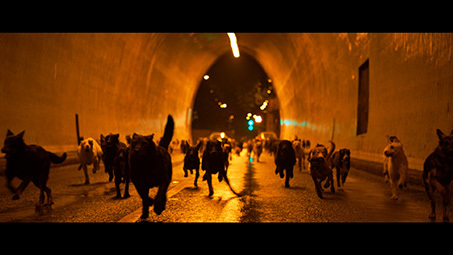 Without resorting to digital tricks and without anthropomorphizing his animal protagonists, Mundruczó portrays the revenge of the often maltreated street dog. Comparisons with Franklin J. Schaffner’s science fiction classic Planet of the Apes (1968) are justified, although rather than featuring masked humans acting as animals, four-legged actors, led by experienced coaches such as Teresa Ann Miller and Árpád Halász, play themselves. Mundruczó shows through powerful images that something is rotten in the land of proud Magyars. 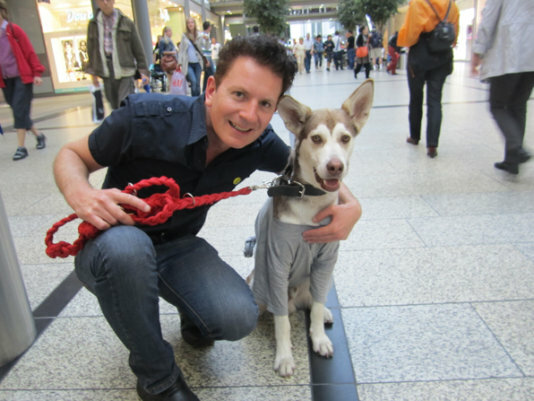 In light of the dog tax actually introduced on 1 January 2012, he and co-screenplay writers Viktória Petrányi and Kata Wéber offer plain-spoken criticism of the politics – not only politics against animals – in Hungary, where neo-fascism has by now become rampant. Hagen (played by the dog brothers Luke and Body from Arizona), who owes his deliberately chosen name to the Nibelungen saga, belongs among the marginalized minorities. He becomes subject to anti-mongrel legislation, whose drastically increased tax forces poor owners to give away their non-purebreed dogs. Because the grumpy father (Sándor Zsótér) of the thirteen-year-old girl Lili (Zsófia Psotta) does not want to pay the state fees, he throws Hagen out. Soon the robust crossbreed falls into the clutches of a brutal trainer of fighting dogs. But in the meantime, the intelligence of the indomitable animal awakens, and he is able to free himself from the claws of his tormentor and later to flee from the pound. (It is a fact that in real Hungary many animals shelters are actually killing stations like in the city of Tatabánya). Shortly after that, the “Spartacus” of dogs gathers an entire army of masterless strays. The signs of the “slav(e) rebellion” indicate a total assault on society! 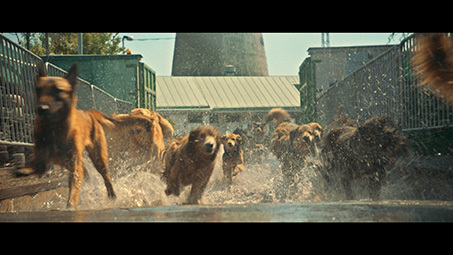 Underdog (international title: White God) fully deserved its first prize award as well as its “dog palm” in last year’s International Film Festival in Cannes in the section Un Certain Regard. It is unforgettable when the outsider Hagen, who revolts against the “white gods,” is soothed amid trumpet play by Lili in a final sequence inspired by Fellini’s La Strada (1954) and Kubrick’s Paths of Glory (1957) – and with it his approximately 250 dog-gladiators. The deeply symbolic use of Franz Liszt’s “Hungarian Rhapsody” is also magnificent as well as the fact that the happily experimental Mundruczó, who already in Tender Son – the Frankenstein Project (2010) transformed Mary Shelley’s monster myth into an allegory for the acting profession and who this time allows himself an appearance as a nasty dog dealer, completely foregoes CGI tricks and delivers a handmade masterpiece. Underdog is without a doubt the most successful Hungarian film since István Szabó’s Mephisto und Péter Gothár’s "Die Zeit bleibt stehen" (both 1981)! But the best news is yet to come: As Kórnel Mundruczó shared with fairplanet in an interview, all of the street dogs who participated in the film and also are listed by name in closing credits were placed by the production and now have new homes! A happy end after the wrap!